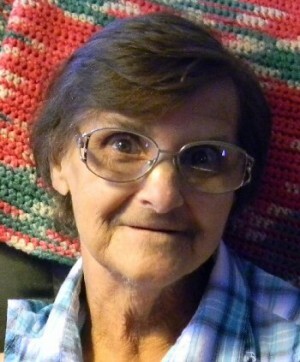 FULTON, NY – Loretta E. Marotta, 76 of Fulton, passed away on Wednesday August 22, 2012, at home with her family by her side. Born in Baldwinsville, she had resided in Fulton most of her life. Loretta had worked at SYROCO and was a crossing guard for the Fulton City Police Department. She was a communicant of The Church of the Immaculate Conception, now known as Holy Trinity Parish in Fulton. Loretta was a very active life member of the V.F.W. Post 569 Ladies Auxiliary in Fulton and she enjoyed bingo, bowling, playing bunko and scrapbooking. She was predeceased by her husband, Umberto Marotta; grand-daughter, Ashley Pluff; brother, Norman Smart; and sister, Eleanor Burchill. Surviving are her children, Joseph (Barbara) Marotta of Granby, Angela Marotta of Fulton, Diane Towsley of Clay and Michael Marotta of Fulton; eight grandchildren; seven great-grandchildren; two brothers, Robert (Barbara) Smart of Fulton and James Smart of Houston, Texas; several half and step brothers and sisters; nieces and nephews. A Mass of Christian Burial will be celebrated 9:30 a.m. August 28 at Holy Trinity Parish, corner of Rochester and South Third streets, Fulton, with burial at St. Mary’s Cemetery. Calling hours will be held 4 to 8 p.m. August 27 at Foster Funeral Home, 910 Fay St., Fulton. Memorial contributions may be made to Friends of Oswego County Hospice, PO Box 102, Oswego, NY 13126-0102.